Walmart’s fresh summer offerings now features new varieties of labor strife, available in English and Chinese. On the retail empire’s home turf in Bentonville, Arkansas, workers gathered at a media conference organized by the advocacy network Making Change at Walmart, to denounce Walmart’s low wages and hostility to labor organizing. Zhang Jun helps lead the fledgling Wal-Mart Chinese Workers’ Association (WCWA), an independent group that pushes for many of the same reforms US Walmart workers seek, like job security and real collective bargaining rights. But there’s one difference: In China, Walmart is a union shop. Sort of. The All-China Federation of Trade Unions (ACFTU) nominally represents all of China’s workers, via a latticework of regional labor bodies along with workplace-level locals. In actuality, the ACFTU’s leadership is often aligned with Communist Party officialdom and corporate management rather than workers. Walmart negotiated to allow the ACFTU to establish local branches at mainland stores in 2006, but grassroots labor advocates say the unions have so far done little for workers other than suppress unrest. Activists like Zhang Jun are part of an increasingly militant rank-and-file movement, which runs a loose network of about 5,000 Walmart workers across China, organized through social media, and has forged ties with labor advocates in Hong Kong and even the United States, with an open letter expressing solidarity. 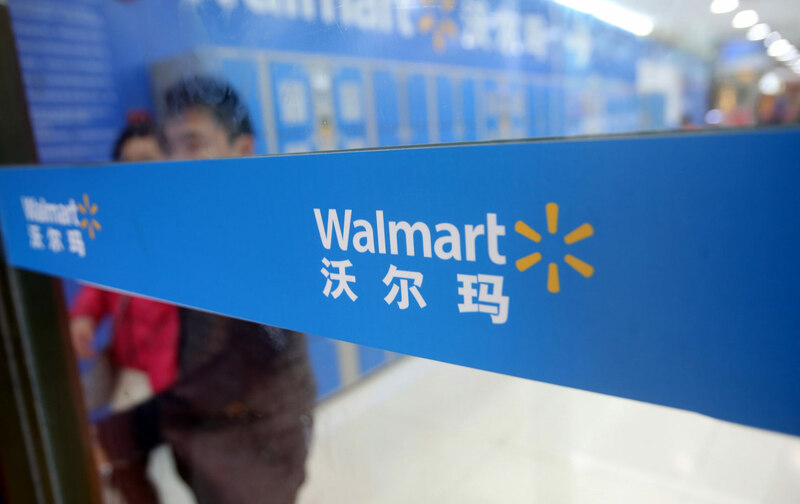 Though Walmart’s China operations count for just 3 percent of global retail sales (contrasting with China’s outsized manufacturing role in Walmart’s supply chain), they employ more than 100,000 workers at 433 outlets in 169 Chinese cities. The Walmart brand itself turns out to be an ideal organizer. The plans to introduce “flexible” schedules as part of a workforce “optimization” program have galvanized workers’ anger across China, along with rising fears of labor deregulation. Zhang Jun tells The Nation that under the initiative, workers would face intensified workloads and be deprived of legal recourse to challenge unfair schedule policies in the civil legal system. The destabilization of working conditions would “potentially make workers more fearful and less assertive in voicing their concerns on various grievances in terms of organizing unions,” he adds. Zhang Jun, who has also left Walmart but continues to organize workers, has launched a scathing online petition to oppose the scheduling reforms and to demand more democratic union elections for direct collective-bargaining representatives. This time, the organizers have won the support of local leaders with Shenzhen’s ACFTU branch. Provincial vice chair Wang Tongxin told fellow union officials, “We should listen to the workers’ demands and bring those demands to the higher-level unions,” according to a May report by Hong Kong-based China Labor Bulletin. China’s workers are demanding more nationwide, as average salaries for urban workers have nearly doubled since 2004, particularly in high-cost boomtowns like Shenzhen. Even the city’s monthly minimum wage has risen steadily, while Walmart’s pay scales have apparently failed to keep up with overall growth. Could an emerging global Walmart labor culture form a transnational front against Walmart’s corporate culture? Perhaps workers like Margaret Hooten would never have thought US Walmart would drag down Chinese labor standards in the “race to the bottom,”’ or that Chinese workers might offer lessons in organizing. But whatever the bureaucratic constraints, WCWA’s growing militancy just might inspire the US counterparts who struggle to coordinate one-day strikes, store by store. So maybe Walmart’s Chinese incarnation isn’t just a sign of globalization of a corporate hegemony, but of an incipient globalized rank-and-file movement, purpose-built for a shrinking world. Special thanks to Kevin Lin and China Labour Bulletin for assistance with research for this article.